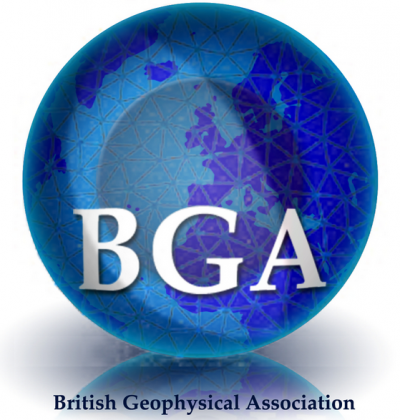 The British Geophysical Association (BGA) sponsors scientific meetings and workshops on subjects under the heading of “geophysics”, including interdisciplinary meetings. It depends on individuals to volunteer to organise meetings, but it can provide financial support and publicity. The choice is yours, but the subject of the meeting has to attract UK geophysicists. A meeting is a good opportunity to publicise recent advances (your own and others’) in a field, or to review progress in a topical issue. Another possibility is a meeting to exchange experiences of particular tools or techniques, including techniques of education. If the subject crosses discipline boundaries then consider holding the meeting under the joint auspices of BGA and the relevant professional group, for example a specialist group of the Geological Society, or the Royal Meteorological Society, or the Institute of Civil Engineers. 2. Date, time and place. Please Note that the BGA is treated as an outside body charged at “Earth Science” rates, and not as a specialist group of the Geological Society, for the purposes of room booking. The usual format of a “G” meeting is a one-day specialist meeting from around 1030 to 1530, followed by a joint meeting with the astronomers from 1600 to 1800. These joint Astronomy and Geophysics (A&G) meetings typically comprise a small number of topical talks pitched at a level appropriate to the broader audience. The programme of the joint A&G meetings is decided only a few weeks in advance. Thus if you are willing to talk at a forthcoming RAS A&G meeting, please contact the RAS (see contacts in side margin). The “G” discussion meeting organisers are encouraged to suggest a speaker from their meeting who can give an interesting talk suitable for the broader scientific audience at the A&G joint meeting. In May a shorter joint discussion meeting (on a topic of interest to both astronomers and geophysicists) is held in conjunction with the RAS AGM. The RAS meeting programme for the coming season is usually prepared during the preceding spring, so suggestions are particularly welcome at that time. The programme is formally adopted by the RAS Council at its July meeting, and is published later in the summer on the RAS website. Suggestions are welcome at any time of year, though, and some allowance can be made for the organisers’ needs. Other meeting formats, e.g. a two-day meeting on Thursday and Friday, can often be accommodated. An Out-of-Town meeting can be held anywhere suitable. It is still a good idea to register it with the GeolSoc, because they will then publicise it. Meetings can include field trips and site visits. It is also possible to be adopted as a Regional Meeting of the RAS, and to receive some funding support from that source. Regional Meetings are usually adopted as part of the programme by RAS Council at its July meeting, so that they can be fully publicised. Again you should contact the geophysics secretary on the RAS. Check that your meeting does not clash with others, in particular the big international meetings (IUGG, AGU, EAGE, EGU, SEG, and similar, depending on your target audience). It is also wise to be realistic about likely attendance during the post-Easter conference/fieldwork/university examination period. A registration fee may be charged, within the restrictions of the Geological and Royal Astronomical Societies’ rules – see here and here. The Geological Society has some funds – see its guide for meeting organisers. If the meeting is jointly with a third organisation then investigate funding from their side. For BGA meetings arranged as RAS “G” discussion meetings the RAS will normally pay expenses for one speaker from outside the UK (based on travel by the most economical means). A set of detailed notes for organisers of discussion meetings is available from the RAS Executive Secretary. Commercial sponsorship may be available for relevant meetings, for instance from the oil, water, minerals or insurance industries. Organisers are encouraged to make use of their contacts in these areas to secure funding. The RAS and Geolsoc approach the BGA Meetings Secretary for information about meetings, for publication in Astronomy and Geophysics and Geoscientist. The Meetings Secretary can also arrange for a link to your meeting website to be placed in the BGA website. To get a meeting on to the RAS website you should contact them directly. The GeolSoc guide for meeting organisers and the RAS notes for organisers of discussion meetings have more suggestions about publicity.